This post was written as part of application to join the SustainUS youth delegation to the UNFCCC COP24 in Katowice, Poland. The month of May 2010 in Nashville, Tennessee began normally enough — with the beginnings of a heavy thunderstorm, typical for the region as spring turned into summer. I was a nature-loving teenager recently turned environmentalist, thanks to an environmentally-focused semester school program in Pisgah, North Carolina, and I remember I was especially pleased with weekend forecast for rain. I had spent the past week convincing my parents to let me set up a vegetable garden and compost bin on the side of the house, and knew it would be easier to dig out the soil if it was damp after the storm. But over the course of the weekend, what started as a light rain turned into heavy downpour that seemed to never stop — for 36 hours straight, thunderstorms raged across Middle Tennessee and Kentucky. By the time the skies cleared, 13.57 inches of rain had fallen on the city. The Cumberland River, which wound through the center of downtown, had crested at a record-shattering 51.86 feet, bursting its banks and overflowing countless nearby creeks and tributaries. For days, the city was underwater. Half of downtown Nashville had been flooded, along with thousands of houses in low-income and minority neighborhoods like Antioch, Bellevue, and Whites Creek, covering iconic landmarks and music venues like the Grand Ole Opry House with feet of standing water. Practically the entire city shut down, with roads and highways closed, fear of flooded sewage systems containing floodwaters and spreading disease, and the danger of electrocution from downed power lines and submerged transformer stations. 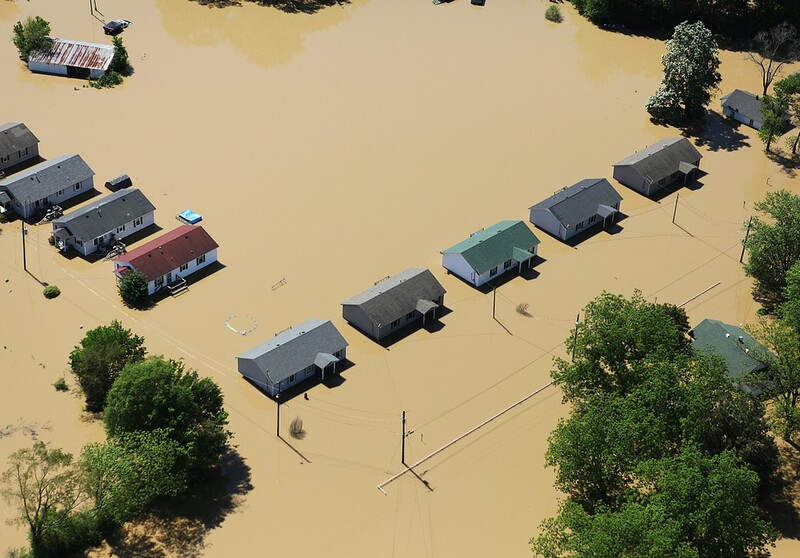 And once the floodwaters receded, the real scope of the storm’s impact was shocking — the storm had caused over $2 billion in property damages, more than 10,000 people displaced from their homes, and 11 deaths over the course of just one weekend. Even as severe as it was, the 1000-year Nashville flood wasn’t something that national media paid much attention to, and national disaster relief organizations were slow to join the recovery efforts. Much of the relief for flood victims in the first few days was organized by locals — with schools across the city closed, my classmates and I found ourselves collecting supplies and working in those neighborhoods to salvage the remains of friends’ and strangers’ waterlogged and mud-covered possessions. As I was standing in my English teacher’s backyard using a hairdryer to dry out the pages of what had once been a home library, I couldn’t shake the feeling that somehow my perception of the world had fundamentally shifted, that my understanding of what was “normal” in the future had to expand to include the possibility of entire cities being underwater. As life gradually went back to normal in the weeks and years after the flood, it became clear to me that climate change had helped turn a heavy rainstorm into the most destructive weather event in the city’s history. Unsurprisingly, given that it was the American South, conversations about why the 1000-year flood had done so much damage to the city rarely made the connection to rising temperatures due to climate change, which had been already been predicted to increase the frequency and intensity of rainstorms in the region. But with the combination of decades of discriminatory housing policies and city planning, the failure to update floodplain maps or integrate reasonable watershed planning into Nashville development plans, and continuing miscommunication between local, state, and federal authorities, government officials and residents were left completely unprepared for the new reality of a warming world when the storm hit. 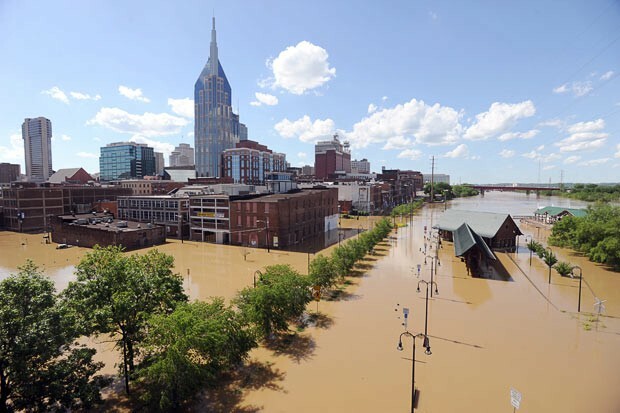 Years after the flood, and many natural disasters across the United States later, no comprehensive approach to flood control in Nashville has been passed. Yet many of those impacted by the 2010 flood are still at serious risk of their houses flooding with the next rainstorm, and often their only other option is to sell their house to be torn down by the city and hope to find an affordable house in a different neighborhood. These are the real challenges of dealing with climate change — ones which our governments and communities are badly struggling to respond to, even when face to face with the costs of inaction. The Nashville flood was the beginning of my own struggle to understand how systematically complicated human relationships within our communities and with natural environment have become, what an environmentally sustainable and just world would look like, and what my role in shaping that world should be. Over the past decade, I’ve worked on countless environmentally-related projects, from organic farming to college divestment campaigns, to national organizing against fossil fuels. I’ve been arrested in front of the White House protesting the Keystone XL pipeline, worked with rural communities in Maine and Denmark to establish locally-owned renewable energy systems, attended UN conferences to fight for marginalized voices to be heard in the policy process, and helped state legislators push back against the dismantling of federal environmental regulations under the Trump administration. Throughout all of it, I looked to understand why decision-makers constantly failed to prioritize environmental protection in their policies — because if I didn’t understand how the narratives of the environmental movement were failing to make an impact, how could I ever hope to make any meaningful contribution to a sustainable future? But really understanding why we’ve been so unable to take the radical action needed to prevent the worst of climate change from happening — despite decades of international negotiations and mountains of scientific evidence — has been a work in progress for me over the last decade. Most recently, reflecting on the intertwined histories of carbon energy, democracy, and capitalism (and a lot of reading for graduate school) has helped me come to grips with why we’re at this impasse and bring together my experiences working in the environmental movement into a more cohesive vision. Despite the growing number of climate change-induced extreme weather events each year, our political leaders still have a lot of trouble really understanding just how much of our day to day lives will change due to a warming planet, let alone take the actions necessary to stop and reverse those trends. We’ve known for a while that in order to keep planetary warming below 2ºC and to stand a chance of avoiding the worst effects of climate change, we need nothing less than the rapid decarbonization of the global economy through transitioning off of fossil fuels to renewable energy by 2050. It’s a pathway that’s looking increasingly unlikely due to continued increased carbon emissions from the US and China — an unsurprising fact given that fossil fuels underpin every facet of industrialized society and the global economy. Why? Everything we do, create, or consume, whether it’s an apple or the most recent Netflix series, is dependent on fossil fuel usage — most clearly in the form of an energy system where 80% of global energy is generated from fossil fuels. Worldwide, fossil fuel use is estimated to be subsidized by a staggering $5 trillion a year, when accounting for financial, social, and economic costs borne by the public and institutions to support its continuing production — everything from planning systems which support oil and gas infrastructure and cheap leases for drilling on public lands, to healthcare systems dealing with health impacts of pollution. In comparison to the existing fossil fuel energy system, investment and support for renewables is a tiny percentage of what it needs to be. Even with ever-decreasing prices for solar and wind generation and rapid development of large-scale renewables infrastructure, the rate at which we bring renewables online isn’t even close to what we need right now. So in the face of global support for climate action, when even the majority of Americans think that the government should be taking action on climate change, what’s holding us back? Put simply, the relationship between our democratic systems of government, our current energy system, and the landscapes upon which we depend is, in a word, complicated. In his book, Carbon Democracy, Timothy Mitchell writes that “fossil fuels helped create both the possibility of modern democracy and its limits.” Mitchell describes how since the beginnings of the Industrial Revolution in Britain, fossil-fueled industrialization has condensed once-rural working populations in urban manufacturing centers across the globe — where the constant flow and consumption of extracted fossil energy has then driven the massive expansion of capitalist production through wage labor, devastation of the planet’s natural resources, and concentration of wealth and political power into the hands of the few. 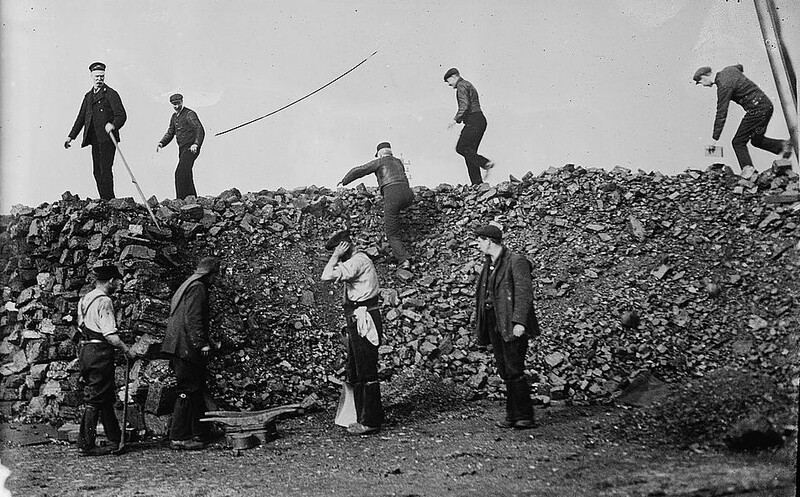 Yet in many countries, fossil-fueled production and urbanization also provided the conditions for the birth of mass political organization and collective action, with citizens organizing against economic exploitation and environmental destruction in the fight for social justice, working to hold governments accountable to their constituents. It’s just one example of what economic historian Karl Polanyi called the “double movement” — the dual process of marketization and push for social protection against the negative impacts of that marketization. And it’s a system that today makes it possible for activists like me to collectively organize to attend massive climate marches and travel to UN climate conferences, to voice our demands for meaningful action from those decision-makers with political and economic power — but which is fundamentally designed to perpetuate itself to the benefit of those who control and profit from the current fossil-fueled energy system. Today, those relationships between fossil energy, democracy, and economic power play out on the national and international stage as political leaders from the global North and global South attempt to reconcile the historic narratives of market capitalism, economic liberalism, and colonialism with the reality of a changing climate. Over the past 25 years of international climate negotiations, political leaders in those countries historically responsible for the majority of global carbon emissions have made weak national and international commitments to cut carbon by low percentages in the far off-future — a far cry from the binding emissions reduction targets and significant financial investment needed for renewable energy and climate adaptation for those most vulnerable to climate change. Given how entrenched fossil fuels are within the narratives of development and industrialized society, wonder why so many politicians continue to be silent when it comes to taking on the massive challenge of transitioning the economy entirely off of fossil fuels (with the recent exception of Costa Rican President Carlos Alvarado, who has announced his intention to get rid of diesel and gasoline in domestic transportation by 2021 in a bid to fully decarbonize the country — admittedly without a plan to do so). Instead, developed country leaders have pointed to technological and market-based solutions of carbon trading, carbon sequestration, carbon offsetting as the most rational solutions to the “market failure” of climate change, claiming they’re the ones which are most politically feasible. And even as communities are devastated by mega-hurricanes and forest fires burn for months, many still fight to pretend that they’re negotiating on behalf of the good of their citizens and the world, all while working to prevent discussions about conflicts of interest from the fossil fuel industry within UN negotiations on climate change from happening. Fossil fuels, carbon emissions, democracy, economic growth, political power — a complex tangle of material and social relationships that has now culminated in the collective inability of current political institutions to effectively deal with the global climate crisis. But are these institutions really where we should be looking for radical action climate change? Will tactics like putting a price on carbon and striving to decouple carbon emissions from economic growth actually address the fundamental drivers of climate destruction, or does it just simplify the deep-seated issues of fossil fuels society to one of compensation, rather than justice? 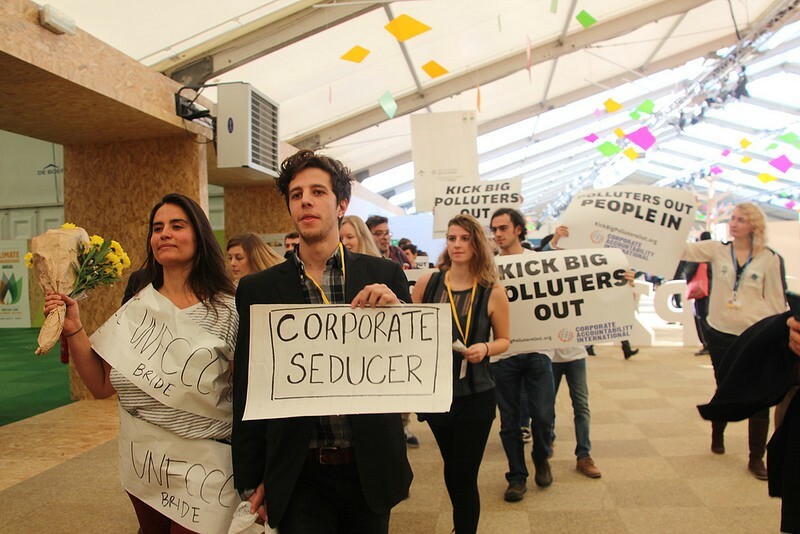 If it’s the latter, what can we to do to fight fossil capitalism towards climate justice? And what kind of system can we replace it with? All of these are questions which, in one way or another, I still struggle with articulating and answering. But after nearly a decade in the climate movement, it doesn’t feel too far of a stretch to recognize that that the transition to a fossil fuel-free future provides the opportunity to radically restructure the way we think about political power, democratic decision making, and energy ownership. And it might even demand it if we’re going to have the kind of energy transition and societal transformation we need to reconcile historic injustices highlighted by climate change with a truly sustainable future. Above all else, climate change highlights the profound disconnect between decision-makers and the people and places those decisions impact, kept apart by unjust and manipulative narratives of societal organization. I’ve realized that climate justice isn’t something that can be demanded from politicians, because it’s incredibly unlikely that continuing to rely on democracy-as-electoral politics, green consumerism, and international negotiations will lead to the radical action necessary to keep climate change from devastating communities across the world. Not only will climate change impact everything about our society and how we live on this planet, but so will fighting to stop it. 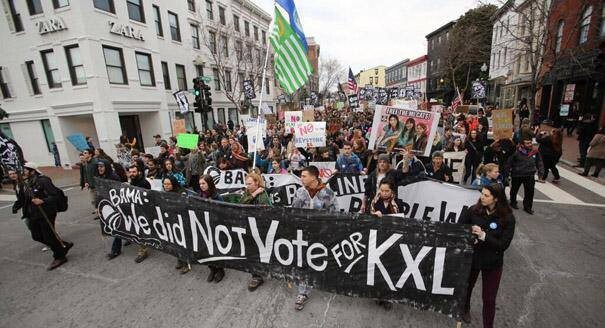 The society that fossil fuels built is not the society that will do away with them. Only through rethinking the processes that shape our collective response to climate change, expanding our conceptions of democracy to all facets of society and moving beyond capitalism as the only framework for tackling societal problems can we really start to articulate the a compelling vision of the world we want — and protect and restore the land upon which our survival ultimately depends upon. I don’t pretend to have the all the potential solutions to what kind of world that is, but I’m constantly inspired by individuals and communities working to give power and a meaningful voice to those who otherwise would have been silenced or ignored within decision-making processes. Part of my current research focuses on how different political, economic, and social institutions shape how citizens can actually effectively engage in positive environmental action, and there are countless examples of communities experimenting with the kinds of democratic innovations that work to legitimize citizen opinion and interests beyond the ballot box. 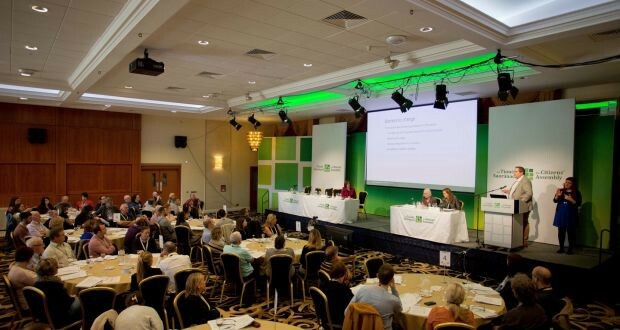 From citizen assemblies and mini publics, to community ownership of land and resources, there is an incredible amount of potential for citizens to transform our political processes to ones which are more local, inclusive, deliberate, and effective, and which ultimately lead to better policies. Local and intersectional climate mitigation and adaptation initiatives like New York City’s OneNYC plan are really good starting points for understanding how environmental justice can be better integrated into city planning and development processes, but they’re far from perfect in terms of truly involving those impacted within the actual decision-making processes of running the city. It’s time for those of us in the climate justice movement who aren’t fighting on the frontlines of climate destruction to get creative, and to start working on a vision for alternative processes for climate justice, as well as outcomes. Fighting climate change in an equitable way is going to require active engagement from all of us, in all levels of decision-making, pushing back against fossil capitalism with clearly articulated alternatives. Because when the non-binding and inadequate commitments under the Paris Agreement is the best our governments can do for climate action, it’s time to realize that “no” is no longer enough for our movement, and for our futures. Advocate, activist, and grad student working towards a community-owned, democratic, and fossil fuel free future.